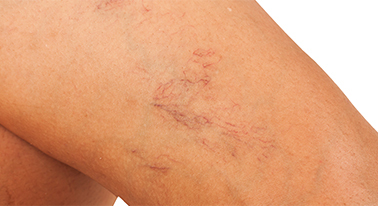 Euro Image Med Spa offers laser vein removal, specifically for facial and spider veins. Both men and women have suffered from unsightly veins for decades, and today there is finally an effective and affordable treatment option. Laser vein removal has come a long way in recent years, and today we are able to help individuals who are living with embarrassing veins finally achieve the smooth, beautiful skin they’ve always wanted. Veins form for a wide range of reasons, from genetics, to lifestyle, to exposure to severe weather conditions. Individuals who have spider veins or prominent facial veins often do everything they can to hide them, from wearing long sleeves and pants in the winter to using makeup to cover them up. Here at Euro Image Med Spa, our experienced technicians have the tools and technology needed to focus on any of your problem vascular lesions. 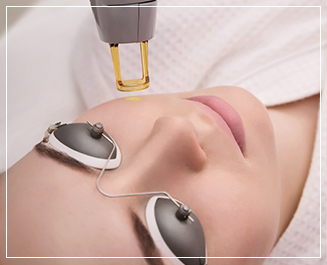 We use a state-of-the-art laser - Candela’s GentleMaxPro - to cause your blood vessels to break down and shrink, leading to the reduction of visible veins. If you are suffering from facial and spider veins and are tired with being embarrassed, contact Euro Image Med Spa today and schedule an appointment for laser vein removal. We encourage you to schedule an appointment at Euro Image Med Spa to undergo laser vein removal treatment immediately. It is best to have your spider veins taken care of before they become more serious and lead to other complications, such as blood clots and spontaneous bleeding. One of the top benefits of laser vein removal for facial and spider veins is how quickly patients see results. In just one session, you will see a visible change in how prominent your veins are, giving you the confidence you need. We encourage you to give Euro Image Med Spa a call today and schedule an appointment for laser therapy. Using Pixel’s GentleMaxPro laser, we are able to treat unsightly spider veins in under an hour. Please do not hesitate to give us a call if you have any questions or would like to schedule an appointment today.